Akshat Diwan has everything that the tangible world can offer for a dream-like life – luxurious cars, a palatial mansion, extravagant wealth and an heirloom of infinite opulence. All but peace! His parents are forever in a state of prolonged hostility; add to it failing spurious friendships and dwindling love life which metamorphoses him into a soul-less creature. Cursing his misfortune and in an attempt to end his anguish and disparity, Akshat embarks on an unknown journey, seeking nothing but solitude, or perhaps a glimpse of his inner being. It is when he meets a stranger that he realizes his journey is not just any journey, but a roller coaster ride to unravel the harsh realities of life. The cover says everything about the book. The green color gives a soothing effect to the readers' eyes. Two chairs on the front cover centering the bonfire, has done proper justice to the main scene of the book where two main protagonists experience the story-telling session. Kudos to the designer for such a wonderful creation. The name sounds good. But readers may find the name a bit indifferent to the content of the book, though the author has very efficiently linked the last line with the name. This authors' narrating style will make every reader glued to every page of the book. The friendly words and lovely description helps the readers to visualize every scene. At the beginning readers might find it a bit descriptive but later the author’s flawless writing covers everything up. The story starts with Akshat returning home after his fateful journey. At the beginning, the story is a bit stretched, but as soon as Akshat meets Randhir and when Randhir starts to narrate his part of story the book picks up speed. The way the author juggles the story of Randhir with Akshat’s story is commendable. 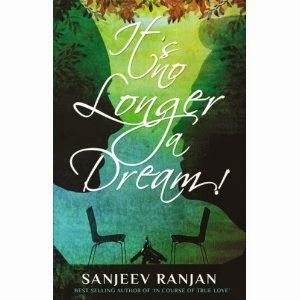 The book is all about Akshat’s tryst of finding his lost faith in love through Randhir’s eyes. A sweet love story that will bring tears to the readers eyes at the end. + Point: The story line and the author’s flawless narrating style. - Point: A bit exaggerating descriptions and few stretched scenes at the beginning. This book will help readers to redefine the meaning of love. I would like to recommend this book to every reader who is searching for a perfect love story.